The Fat Wallet Fix | Distil Union Tagged "iPhone SE and 5/s"
What's in your wallet? No, seriously– does it truly need to be there? Empty your wallet. Now put back only what you use regularly. Digitize the rest in a password-protected app like Dashlane then keep them elsewhere. Nervous? Skeptical? Try it for a week... Some cards might creep back in if you let them, but we bet you'll be happily surprised at what you don't miss. There’s an app for that, as they say, so put that pocket-sized computer to work! We've compiled highly rated wallet-slimming apps, and if you own an iPhone, Apple Wallet can manage your cards, boarding passes and more so your real wallet doesn't have to. Cash may be king, but most shops prefer card payments or secure wireless payments via Apple Pay, Samsung Pay, and Google Wallet. Owe money to a friend or landlord? Try Venmo– it’s easy, widely used and refreshingly free. Sure, your wallet will be slimmer now that you have less to carry– but you've done all that work is for nothing if your wallet is bulky. We know what you're thinking, Does which wallet I carry really make a difference? A: Definitely. See how slim design makes a big difference. In traditional wallet construction, every slot adds another layer of thickness. Our simplified construction uses trademarked Wally Pull-Tab™ for easy access to your cards in a remarkably slim profile. And whether it's physical or psychological, having a slimmer wallet is a great way to reinforce the behavior of carrying less. We make it slim, and you make it minimal. We make it slim– you make it minimal. In traditional wallet construction, every slot adds an unnecessary layer of thickness. We've distilled the wallet to its essentials, using our patent-pending FlexLock pockets and Wally Pull-Tab™ for a secure carry in a remarkably slim profile. Starting with a slim wallet means you're already ahead of the fat-wallet game; and using a slimmer wallet is a great way to reinforce the behavior of carrying less. All it takes is discipline and a well-designed wallet. 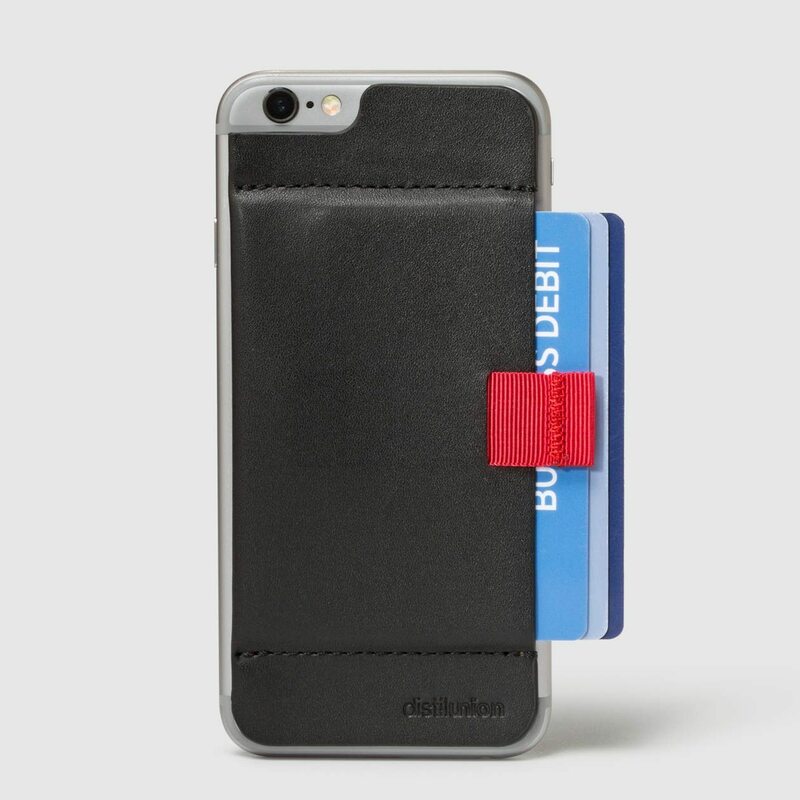 You can do this– you can carry a slim wallet.